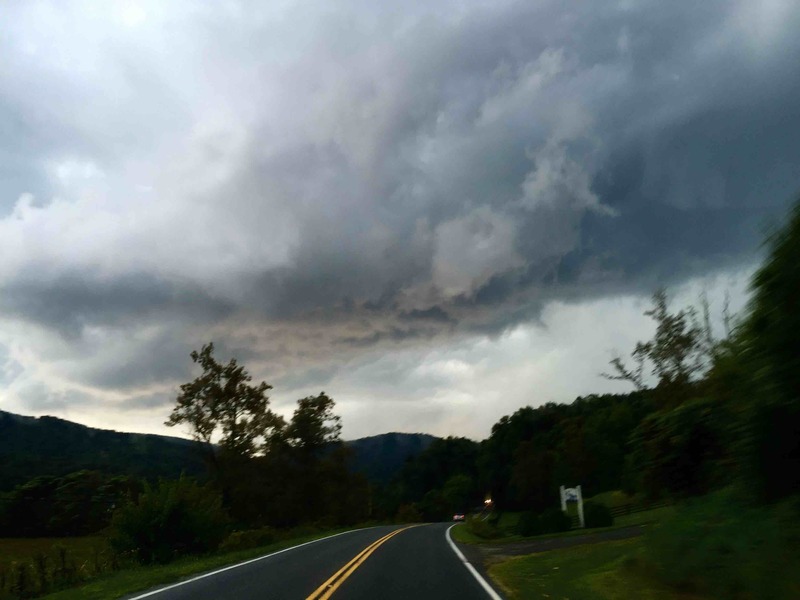 ©2014 Blue Ridge Life Magazine : Photo By Tommy Stafford : This dashcam shot taken Wednesday afternoon looking south toward Brents Gap shows some dark ominious clouds. A heavy line moved across the Central Blue Ridge Area around 5PM. September 2, 2015. A line of heavy thunderstorms moved across the area Wednesday afternoon resulting in high winds, heavy rains and some vivid lightning. Our BRLM Weathernet stations had each picked up over 1/2″ of rain by 6:30 PM Wednesday evening with heavier amounts in other locations. Our BRL-Trager Brother’s station had .53″ of rain by 6:30 PM Wednesday. Up at 3500′ our BRL-Nature Foundation at Wintergreen station has .90″. Some power outages were also reported as shown below in our tweet just after 6:30PM Wednesday evening. Screengrab courtesy of WHSV television Harrisonburg : By far one of the worst areas hit was Waynesboro with flooding in some parts of the city. Click on the image above to read more from WHSV. 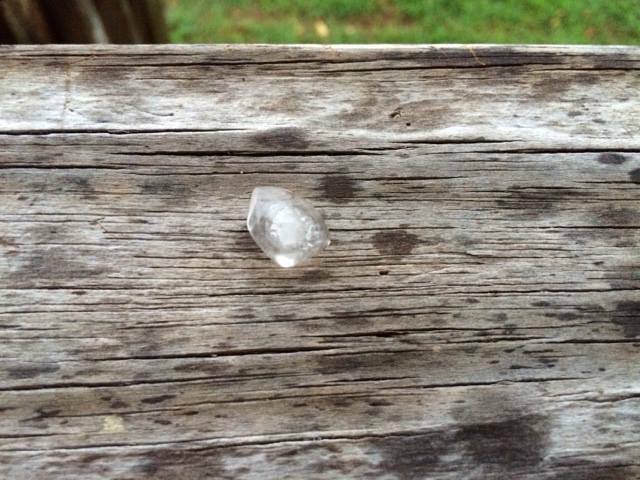 Photo By Helen Taylor Pannell: Some dime to nickle sized hail was reported in Massies Mill in SW Nelson County. Tommy says we can expect more scattered thunderstorms on Thursday afternoon as well, but the Labor Day Weekend is looking very nice!